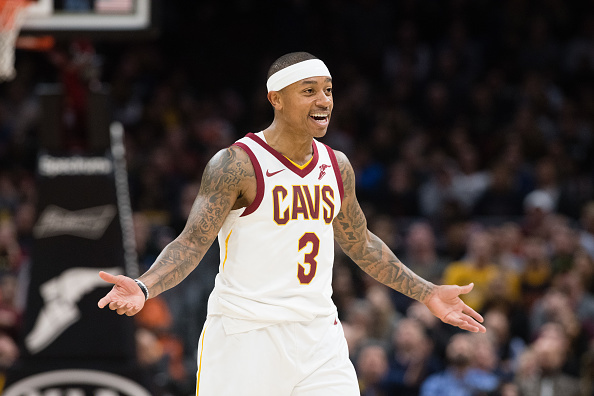 I’ll admit it, I had high hopes for Isaiah Thomas’ time with the Cleveland Cavaliers. Sure, said expectations were level-set a bit due to his coming back from a severe hip injury. Still, after watching his stellar season last year, there was reason to think he could be a huge addition in Cleveland. To say he fell woefully short of these expectations might be the understatement of the year. In just 15 games, Thomas went from fan-favorite to locker room cancer. Before he could even settle in with his new team, he was sent packing. The noise you heard when news broke of his trade yesterday was a collective sigh of relief from his former Cavs teammates. It sounds harsh, undoubtedly. But what else can you say? Thomas may be unhappy about how quickly Cleveland gave up on him, but you’d be hard-pressed to argue against the fact he brought it all on himself. There was a time when the trademark chip on the diminutive point guard’s shoulder was endearing. In Thomas, fans saw a player who played with a vengeance, constantly out to prove doubters wrong. When he was acquired in last summer’s infamous trade of former Cav Kyrie Irving, many fell in love with his gritty attitude and penchant for saying whatever was on his mind. Of course, this was before he suited up for Cleveland. Back then, everyone assumed he’d be backing up all the talk. Once he finally took the court, things took an epic turn for the worst. After two impressively efficient games to start off his Cavs debut, Thomas’ performance tanked like there was no tomorrow. He put up the worst shooting percentage of his career, yet it didn’t stop him from chucking 10-15 attempts a night. A Cleveland team which was coming off one of its most impressive stretches of basketball suddenly looked overwhelmingly disjointed. If this were his only problem, there remained a possibility things could’ve been salvaged. The assumption would simply be he wasn’t quite healed from his hip injury, and just needed time to get back to full strength. However, how Thomas handled himself off the court did nothing but grease the wheels for his departure. Despite the fact his on-court performance became unwatchable, Thomas kept talking. He called out teammates for not playing defense, openly discussing how much better his former teams were on that side of the court. This occurred while he spent most nights watching opposing players run right by him. He took offense to anyone who seemed to have a problem with what he was offering on a nightly basis, as if his impressive season last year made shooting 2-of-15 more excusable this year. Even worse, Thomas hardly held back when blaming anyone he could find for all of Cleveland’s struggles. Kevin Love was accused of faking sick, despite the fact he was dealing with migraines and was in the middle of an All-Star campaign. Thomas claimed part of the reason the Cavs were playing so poorly was due to the coaching staff not making any adjustments, and accusation Tyronn Lue bluntly denied. The result of this nonstop airing of dirty laundry was a group of players who genuinely looked as though they couldn’t stand looking at each other, much less sharing a court together. It became clear to anyone who watched that this team simply wasn’t going to contend as long as Thomas was still in the picture. Despite the fact this team is far better without having to deal with his antics, it’s still tough to admit how badly this all failed. The only reason many assumed he’d be in Cleveland after the deadline was the fact the team saw in him an equal replacement for Irving. Having to not only accept how wrong this assumption was, but to do so this quickly is a tough pill to swallow. However, as long as LeBron James is in town, the Cavs have to do whatever they can to ensure they’re contending for a championship. All we needed to see was 15 games from Thomas to realize he wasn’t helping this cause. As a result, the team had to swallow its pride and part ways with its troublesome point guard, officially admitting an experiment which once seemed promising was an overwhelming let-down.